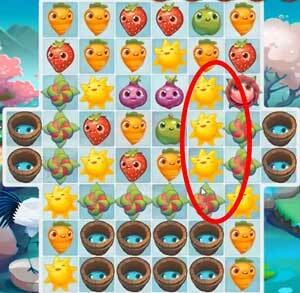 These Farm Heroes level 235 cheats and tips will help you beat level 235 of Farm Heroes. 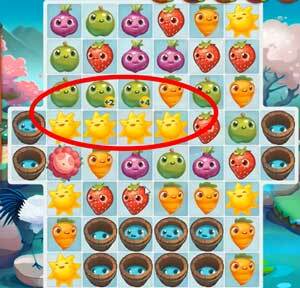 The objective of Farm Heroes level 235 is to collect 40 water drops, 70 onions, and 70 apples in 38 moves. 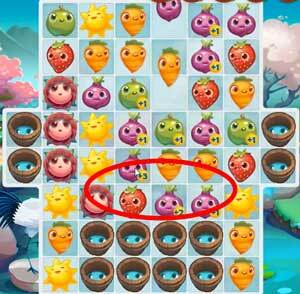 In level 235, you have 38 moves to collect 50 waters, 70 onions, and 70 apples. Before you can do much about collecting water, you’ll have to clear some of the flowers in the way. However, since you don’t actually need to collect any flowers, just worry about getting enough room at the bottom to start filling some buckets, and then focus on resources. In order to get water you’ll have to fill buckets, and although there are a few on the sides, your efforts are better spent on the bottom, where there are more buckets and more room for resources to fall on this level on farm hero’s saga level 225. After you make some room to work around the buckets, think more is better. More connected cropsies means more collected resources and more bonuses. Also, if you can do more with one move, you could clear multiple types of resources with one move. Try to look for the move that will accomplish the most with the least effort.